I just came out of my first conference held by sales master Jeffrey Gitomer. His presentation was even better than I expected, he was funny, quick witted and knew his stuff. While most of his speech focussed on his Little Red Book of Selling the lessons contained within it are mostly the type of fundamental truths in sales that are always good to refocus on and make sure you are completing. 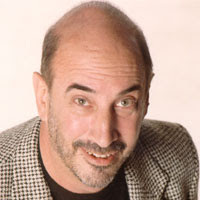 I own 6 of Jeffrey Gitomer's books and today I bought his flash cards for the Sales Bible. I got to speak to Jeffrey before and after the conference and he is like many corporate CEO's I have met. Everyone is always asking him to meet or for a favor of some type so he is a little bit numb to people complimenting him or asking to have lunch. I went up afterwards and said he made a real difference in my life and I intend on recommending him for some broker dealer annual meetings. One interesting point he made was that while he is now a best selling author and wildy successful now and making millions of dollars a year his efforts have taken 15 years to come to bear fruit and there are many moving parts. He does private seminars, online training, a weekly ezine, public seminars, writes books, and creates audio video products. He is everywhere and it is paying off. It is an interesting lesson. I would highly recommend his conference to anyone in the business of customer sales or selling. Which is everyone.